Love your smile again with innovative services and technologies you’ll love! HOW CAN RESTORATIVE & COSMETIC DENTISTRY CHANGE YOUR LIFE? Does your smile ever embarrass you? It’s possible to give your smile a second chance with services designed to fix all smile flaws. Our cosmetic dentistry treatments can help you reach your smile potential. Our cosmetic dentist, Dr. Silberman combines his artistic skills with years of experience and technical knowledge to improve the appearance of your teeth and smile. If you are not satisfied with the physical appearance of your smile, it is our goal to make sure you have the confidence to smile again. We offer a wide range of cosmetic dentistry procedures to correct all your aesthetic issues. Are you missing teeth? Do you have chipped or cracked teeth? Do you find yourself hiding your smile? With cosmetic dentistry, Dr. Silberman can craft a beautiful smile unique only to YOU. You can finally feel proud of life’s moments! If you’re missing teeth or your teeth are severely damaged, it can be painful and difficult to speak with clarity and enjoy your favorite foods. With high-quality restorative dentistry, it’s possible to restore your tooth’s function and durability, giving you a second chance to have a beautiful smile. Every smile is different. We take as much time as you need to personally consult with you and decide on the best treatment plan that will give the best results. Find out how we can improve the health and beauty of your smile. Unlike traditional crowns, CEREC Same-Day Crowns allow Dr. Silberman and his team to prepare and place a permanent crown in a single appointment. The process uses an advanced 3D imaging camera, so no messy impressions are needed, and since your new crown is created and milled in-house from a single piece of porcelain, CEREC allows us to beautifully blend your new crown with your natural smile. No temporaries needed! We are dedicated to providing you with custom dentures that fit your specific dental needs. Dentures are removable and are created to mimic the appearance and feel of natural teeth and gum tissue. 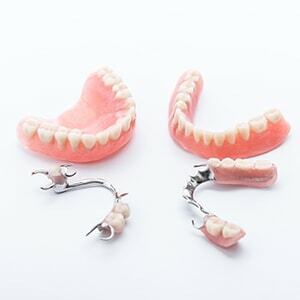 Full Dentures: Used to replace all of the natural teeth in the upper and/or lower jaws. Conventional full dentures are placed after the gum tissue has healed, which is usually several months after the teeth are extracted. Immediate dentures are placed immediately after the teeth are removed. At no time do you leave our office without teeth and a beautiful smile. Partial Dentures: Used when some natural teeth remain. Partial dentures can have a metal frame or be created entirely from acrylic, giving you a more natural smile. Implant-Retained Dentures: One option we can offer is an implant-supported denture. There is a removable as well as a fixed option of implant retained dentures. This is not just for people who are missing all of their teeth. We can use implants to make partial dentures more stable. Dr. Silberman uses a team approach for implant-retained dentures. 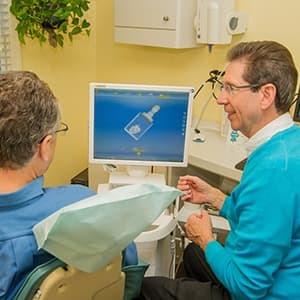 After a comprehensive examination, Dr. Silberman, along with specialists in periodontal and oral surgery, share information to ensure the best implant-retained denture option for you. Want to learn more about dentures? Watch our videos! 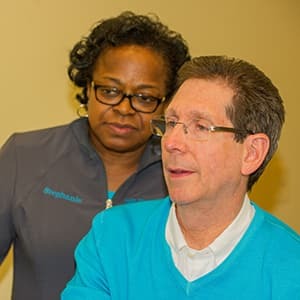 We welcome you to contact our dental office in Waldorf, Maryland for more information on dental bridges and our other tooth replacement options. 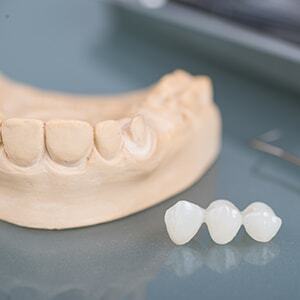 Want to learn more about porcelain bridges? Watch our video! Do you have missing teeth? Dental implants may be an excellent option for you! A dental implant is a small titanium post placed into the upper or lower jawbone during a short surgical dental procedure. 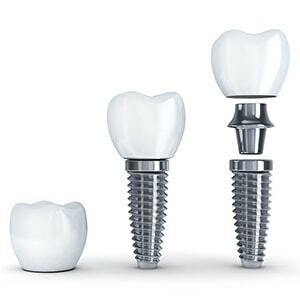 For the replacement of a single tooth, the implant acts as the root of the tooth. Who will place my implant? Dr. Silberman uses a team approach for implants. After a comprehensive examination, Dr. Silberman, along with specialists in periodontal and oral surgery, share information to ensure the best implant restoration. All members of the implant team stay in close contact with each other to make sure everyone clearly understands what needs to be done to meet the patient’s expectations. Dr. Silberman is available to his patient through every stage of treatment during the process. In the end, you’ll have a beautiful smile – free from missing teeth! 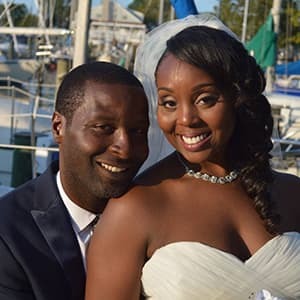 We understand an attractive, inviting smile can greatly impact your self-esteem, and we are dedicated to helping you achieve the smile of your dreams. Talk to Dr. Silberman today for a complimentary consultation! 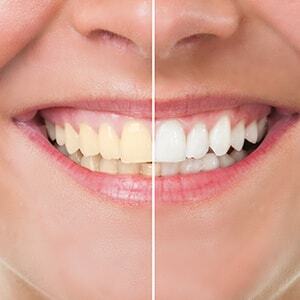 Teeth whitening is the most popular and effective cosmetic dental treatment. You can see results that will make you feel younger, healthier, and more confident. Our teeth whitening treatments can reverse the effects of aging, stains from food and drink, and smoking. Dr. Silberman can counteract these causes of discoloration by using a special solution on your teeth, combined with a high-intensity light to cause oxidation of the stains and result in the lightening of teeth color. What are the benefits of teeth whitening during your dental visit? At Silberman Dental Group, we offer take-home teeth whitening. We craft custom-fitted trays for precise application of the whitening gel. Our take-home whitening is safe, effective, and can achieve your desired whitening shade. You must have regular dental hygiene exams at our dental office. You must not miss appointments without giving our office 24 hours notice of a cancellation during a six-month period. You must not have any outstanding bills with The Silberman Dental Group unless it is an insurance payment our office is expecting from your dental insurance company. You may have some dental work that may prevent you from being a candidate for the Free Whitening Program. Crowns, bridges, or fillings in the front of the mouth are not susceptible to the whitening process. They are color stable. Once the teeth are whitened, there could be the color contrast between these restorations and your natural tooth enamel. We encourage our patients to talk with Dr. Silberman about this process. He will evaluate each patient, case by case, and discuss whether this program could benefit you! Simply visit us every six months for your dental cleaning and exam, give us proper notice of cancellation, and keep your payments current to receive free, professional teeth whitening! We will provide your custom-fit trays, professional-strength whitening gel, and an instruction card at no cost. You can whiten your teeth in the comfort of your own home as often as you feel necessary. Discover your smile’s potential in just one appointment! Are you tired of going to the dental office for multiple appointments for a dental crown? That’s no longer the case thanks to our CEREC machine in Waldorf, MD. What do you have to lose? Ask us about a complimentary consultation and see what we can do for you.